Our brand new Rear Quarter Inlet ports for the Stingray are functional ports specifically designed to increase airflow to the rear mounted intercoolers **. Not only do they fulfil a specific performance objective, but as they are smoothly and innovatively designed and finished in a sumptuous Carbon Flash black paint they will add aesthetic appeal to your vehicle, giving it an even sleeker look. 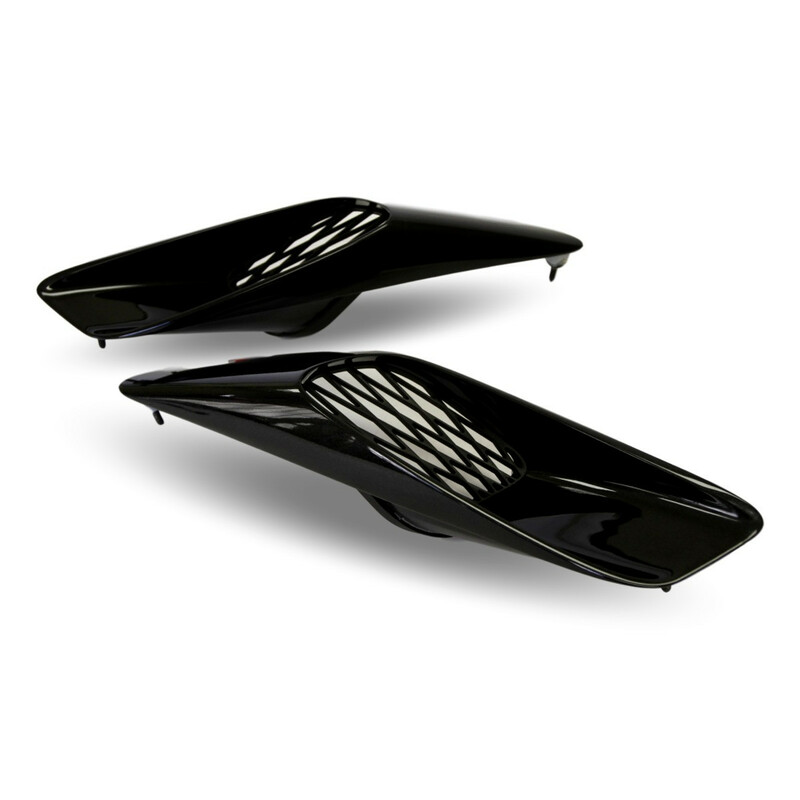 This part is 100% OEM quality, manufactured in injection molded ABS-PC* and benefits from an ABS grill insert. It is a replacement for the factory fitted part and as a modification it is, of course, fully reversible. This all sounds great and looks amazing, but is it tricky to fit? No, is the short answer. Our Rear Quarter Inlet Port has been designed for easy and quick fitting using 3 mechanical fasteners that are supplied as standard. This is just another example of an ACS performance panel that effortlessly achieves design and performance objectives alike. * ABS-PC is a type of thermoplastic polymer, a blend of Acrylonitrile Butadiene Styrene and Polycarbonate – perfect for building OEM parts. Designed for coupes, cannot be fitted to convertible Stingrays.